I'm a fan of accessories that might have made Liberace say "hmm, not sure. Might be a bit much". Lest we forget, this was a man who casually wore a gold and diamond-studded piano ring on his little finger, simply because he saw some unadorned flesh and felt the need to put a ring on it. Even he might have baulked at a diamante pug brooch from Pugs Might Fly. Pugs Might Fly have a theme - pugs, flying - and my god, they have run with it. I'm not even a fan of pugs, but I admire their sheer dedication to their cause. 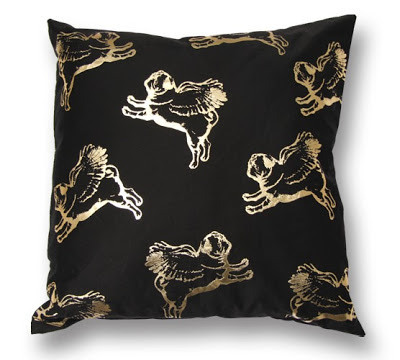 The pug cushions come in a variety of colours, and with the option of added pompoms which I think might be a bit much. 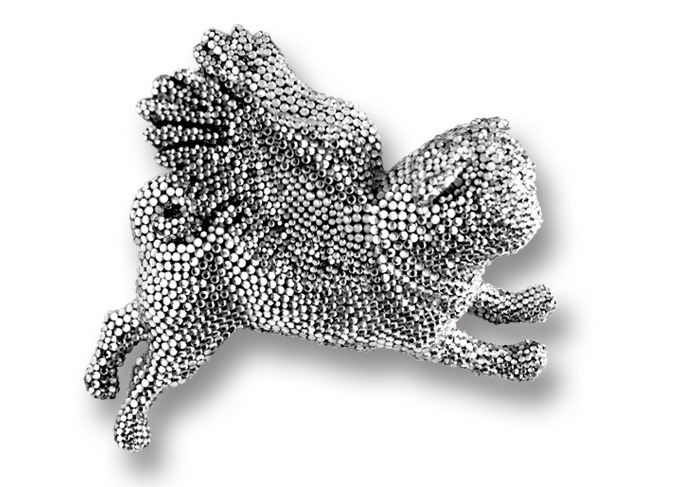 Metallic flying dogs: fine. Pompoms: now you've gone too far. 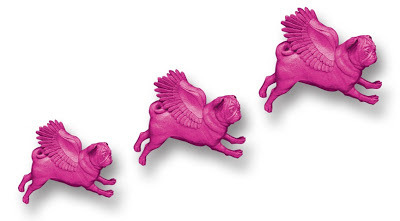 The flying hanging pugs come in black, white, silver, pink, and a slightly disconcerting realistic finish, making it look like you've actually crossbred a pug and a pigeon and nailed its offspring to the wall. And I, for one, welcome our new pugeon overlords. Here is the only fact I know about pugs: if you hit them on the back of the head, their eyes fall out. I KNOW. Don't google it, just trust me on this one. They have flimsy faces. 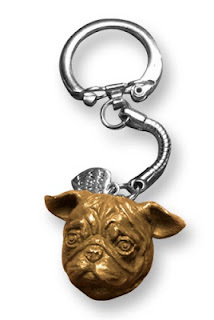 Not this fella, though - he'll guard your keys with his life, or at least watch dolefully as you drop them on the bus. Go and check out the whole Pugs Might Fly range, including fairy lights, earrings, balms, and a slightly disconcerting 50 Shades of Pug soap. Oh, and read the heart-wrenching back story to how the company came to be (spoiler alert: Mutley the pug turns out just fine).